With the Masters quickly approaching, soon we will be rolling out of bed, bright and early, to welcome the sight of fresh, green and lush fields on our televisions screens of Augusta National. The 2018 Masters begins on Thursday 5th April 2018 and will be the 82nd edition of the tournament. 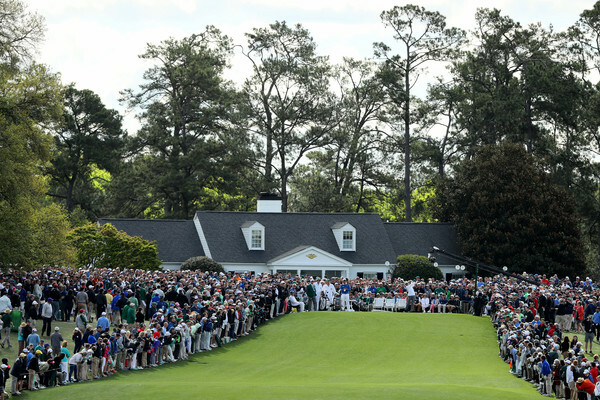 It is scheduled to be held at Augusta National Golf Club in Augusta, Georgia and with only weeks away, betters are keeping a close eye on the masters golf odds for placing their wagers. Many of us would agree the current top favourite for 2018 is Dustin Johnson. But, with the list of contenders even greater with some big talent this year, there are some interesting names that are taking centre stage regarding their chances to win. We’ve analyzed all potential players - looking at those with very good odds, as well as those who have a longer way to go. You’ll be pleased to see names you’d expect, but also some surprises. Who knows how this may change during the days leading up to the first major but here’s our list of top 10 contenders for now. Last year, Dustin Johnson was the clear favourite going into the Masters and is holding his potion strong in 2018 so far. And in 2016, Johnson finished as the seventh best putter in the masters that year and couldn’t sink a putt in the final round to finish fourth. Believe it or not Thomas’ best finish is T-22 for the Masters. But then again he has only played in the tournament twice. So when you take a close look at all his achievements so far, it’s only a matter of time before we could be seeing him right at the top. Although Woods current world rankings may not be up to the standard we expect from him, this outsider could have a shot at winning. Woods odds went up to 10-1 over the weekend with a $4,000 bet placed at Westgate Las Vegas Superbook. And his runner-up place at Valspar Championship shows that he has the potential to win a fifth green jacket. The 2015 champion was everyone’s picks to go all the way in last year’s penultimate group, however after facing his worst-ever round it led to him finishing T-11, but still pretty good. His struggles on the green this season haven’t gone unnoticed, as he currently ranks 167th in strokes gained/putting following the Valspar Championship. This potential outsider saw a win at Torrey Pines earlier this season and could be back on the right track after a difficult 2017. He has been very close to winning the Masters in 2011 and 2013, so could 2018 be the year for him? Jon Rahm currently has lower odds when getting that green jacket this year but No.3 in the Official Wold Rankings. Rahm has always been a consistent contender, but not always for the major championships. Though he’s yet to win his first ever Masters, we have seen Rahm rank a career-high No 2 in the world this season after winning the Career Builder Challenger. A great achievement for the player. One outsider to watch out for! Justin Rose over the past three years has been the runner-up twice at Augusta National. In fact, we were surprised he didn’t finish first last year. Rose has been known for starting strong at the Masters and has been in the top-five five times through 18 holes, but will he finish strong this year? Well, he hasn’t yet finished outside the top 25 at the Masters golf in 10 years. With Mickelson stating earlier this month ‘’seven more wins and I’ll be there’’ could mean seeing this player triumph at the Masters this year. Michelson, who’s battling competitors half his age, could see his knowledge and years of experience beat the odds at the 2018 Masters. It’s tough to predict what Mcllroy will turn up from round to round. But with him being one of the youngest players to reach $10 million in career earnings at age 22/23 on the PGA tour, he is growing in strength year on year. His odds at the start of this year held steady at 12/1 – this outsider still has a shot to reach the top. Though Fowler has eight career worldwide wins, he has yet to win a major. We saw 2017 end with Ricky Fowler winning the Hero World Challenge and starting strong beginning of this year. The victory saw him move to No. 7 in the Official World Gold Rankings and he’s still maintaining his position.